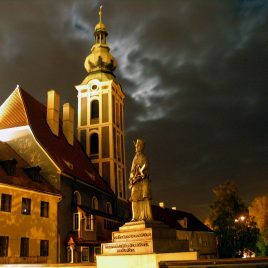 CZK 850 PRICE IS PER PERSON This is not a private tour. Minimum 2 people. Maximum 6 people. Combined exterior and interior tour available daily from May 1 till October 31 except Mondays. 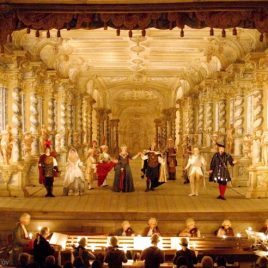 Walking tour in a small group starts at 9:00AM in front of Infocentrum at Svornosti Square to be continued by the English tour to the Český Krumlov castle Baroque theatre at 10:00AM. 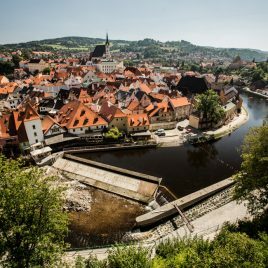 The tour starts with a stroll through the Český Krumlov Old Town to be continued with the English tour inside the Cesky Krumlov Baroque theatre at 10:00AM (45 minutes). 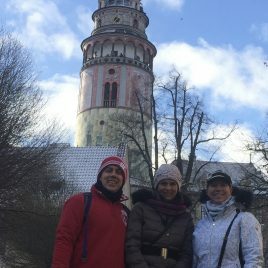 Total time is up to 2 hours. Meet at Infocentrum Tourist Office: Namesti Svornosti 2 in Cesky Krumlov You will see the exteriors of the following: Renaissance town hall *Former Jesuit hall of residents*Jesuit's garden view point*House of Prelate*Gothic Church of St.Vit*Former Latin School*Renaissance house of Krcin*Former Town Brewery* Renaissance House*Old Mill*Barber´s House*Old Orphanage and Hospital*Cesky Krumlov Castle - 1st Castle courtyard* Bears´ Moat*Castle Tower*Mint and 2nd Castle courtyard*3rd and 4th courtyard* English tour to the castle interior is not included in this tour price. Český Krumlov castle interior English tour price per person is CZK 320. Available from April 1 till October 31. 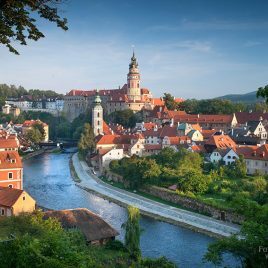 Learn more about Cesky Krumlov Private Guide Services To make reservation ONLY (Payment in cash after the tour) Looking for something else? Send us a request here.